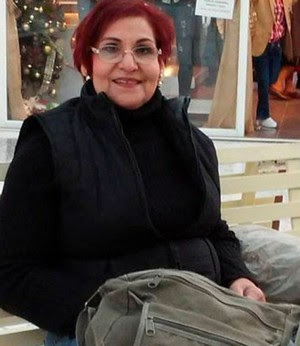 Miriam Rodriguez, activist and mother searching of missing persons in the state of Tamaulipas, Mexico, was murdered last Wednesday. On the mexican Mother's Day celebration (Día de la Madre). To you, dear, on your last day, and those to come, especially the latter. Because the thought that truly pleases someone's name and story is made up of unique and special matter. You will find the vibrating echo of a voice that excites by exclaiming the right words, where a moderate and accurate silence is the most in-demand dress. The reverberation of the light from a careful and curious look, ready to illuminate the ignored traits by our fake dignity, though they are often on the surface. More than anything else, the deep grooves on the common way impressed by those who are willing to risk every step below to give meaning to those same traces. After all, what else is life if you do not leave a mark worth the trip? Hello, mother of natural children and those who are deleted by the horrid human screenplay. Your hug was a gift that does not need to be discarded. Because those who embrace the truth, and let the latter be free, brightly dance as pure souls in a theater without doors. There have been times when courage and honesty were under our eyes, and in one of them you were the company diva, my friend. If only the titles on the billboard were less inaccurate. If only there was more attention to the characters with the bushiest and stingiest performance, maybe you would still be here. Anyway, let's celebrate your day together, Miriam. The last, possible one for a crippled maternity creature, noble aspect of women who are willing to do whatever to adopt the excluded sons. This is how the stranger becomes your flesh, and that the distant brother turns out to be the same, life outside the door enters directly from yours, and the victim from the still bleeding wounds the first on an endless list to protect and avenge. Seamless, because to protect is to avenge, at its best. That is only the typical taking advantage of the work of moms. If it was the last, let it be forever, with all the music and decorations, without the need to touch anything the next day. Because tomorrow will be the day of all your many children, legitimate or not.